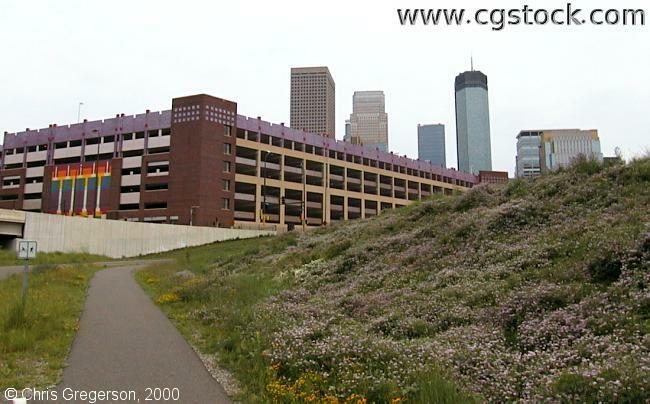 You are looking southeast from the termination of the Cedar Lake Trail on the north side of downtown Minneapolis. The 7th Street Ramp is on the left, the downtown skyline on the right. The cement abutment on the left belongs to the 7th Street bridge.